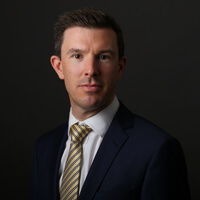 Last year, Partner Simon O’Neill worked closely with Community Finance Ireland to introduce Ireland’s first Shariah compliant financing product. In his latest article, Simon reviews the development of Islamic Finance in 2018, and looks ahead to development opportunities for 2019. As published in Islamic Finance News 2019 Annual Guide, Ireland Country Report. For further information, contact Simon O’Neill.